Yap Lian Seng has had more than 24 years of professional experience. His practice encompasses mergers and acquisition (including schemes of arrangements, takeovers, competitive sale processes and acquisition/disposal of shares and assets), corporate finance, and restructuring work. Lian Seng is recognised for his strong deal-making skills and has demonstrated client skills and technical ability on a number of major transactions in Singapore. In terms of Reverse-Takeovers, Lian Seng has been involved in probably the highest number of successful RTOs in Singapore. 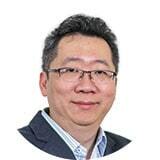 He has also successfully pioneered other transaction structures to achieve similar outcomes in the Singapore market.